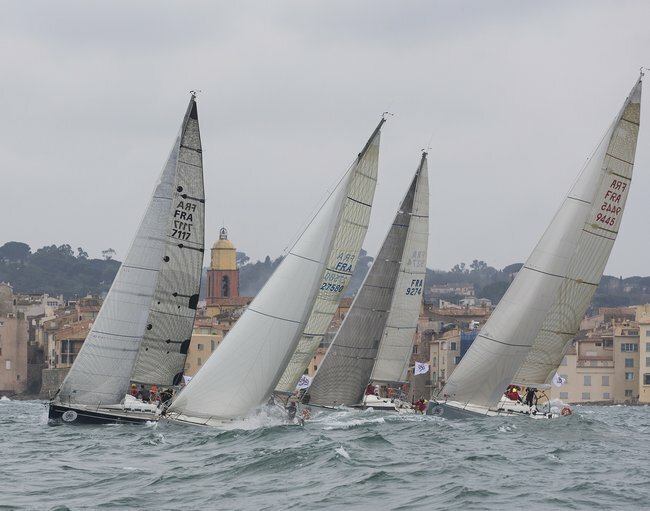 The 7th edition of the 900 Nautiques of Saint-Tropez will take place from March 10 to 20 with a beginning race on March 12, 2016. 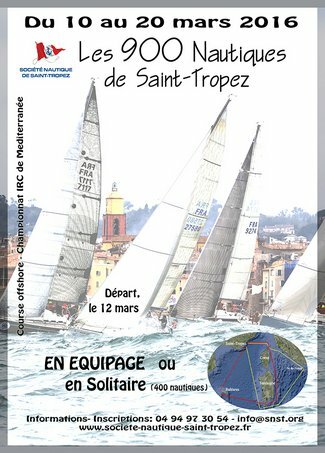 Organized by the Nautical Society of Saint-Tropez, this Mediterranean race usually reserved to groups will open up this year to individuals with an adequate route of 400 nautical miles. Registrations – open in November 2015 – were met with a large success since initially only 30 spots were provided. With this new racing system, the direction of the race and the organizer had preferred to reduce the number of registrations to 30, but the enthusiasm of the participants obliged the SNST to increase the number of participants. So, 38 sailboats are already registered in the race – 21 individuals and 17 in groups. The sailboats in the “group” or “individual” category will each participate in a race of a different distance – 900 nautical miles for the first one and 400 for the second – leaving and arriving at Saint-Tropez. The boats will need to mark several points of obligatory passage. Two races are programmed (for each category) and it is the direction of the race and the organizer who will choose the one that will be held, depending on weather conditions. The regatta is open to single-hulled boats measured IRC with a minimum TCC of 1,000 in “groupe” and minimum 0.980 in “individual” and for multi-hulled boats measuring Multi 2000 in “groupe.” French citizens also need to have a FFVoile license. The 900 Nautiques of Saint-Tropez are registered on the UNCL calendar of proof of the Offshore Championship IRC 2016 Group and Individual. The three first winners of the race (the podium) will win a monetary prize. For a group between 5 and 10 boats, the 1st will win 2,500 euros, the 2nd 1,500 euros and the 3rd 500 euros. For a group of more than 10 boats, the 1st will win 5,000 euros, the 2nd 3,000 euros and the 3rd 1,000 euros. For a group of more than 5 boats, the 1st boat in real time “individual” and “groupe” will win 1,000 euros. Below is a video from the 2015 Edition. Enjoy! Cette entrée a été publiée dans English, Golfe de Saint-Tropez, Sailing le 13 mars 2016 par Boutemyblog.